Fundauniban, the social foundation of Turbana Corporation, recently launched an OLPC project for 8 rural schools in Uraba, Colombia. The program was launched at the Uniban Institute library with 800 XOs. You can follow Rodrigo’s talk in Bogotá with Andres Oppenheimer on http://www.icpcolombia.org/ today, Monday, at 8:30am EST (UTC-05:00). 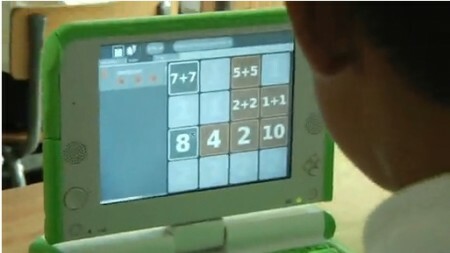 Tech Crunch TV interviewed Maureen Orth recently on the introduction of OLPC in rural Colombia on their tl:dw videocast. 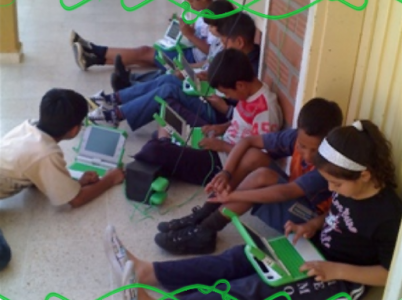 This was a timely reminder that Colombia has been building a network of supporting pilots and foundations in the years since this first urban school began implementing OLPC. The largest projects are in Medellín (perlas), in Caldas, in Altos de Cazucá, and in Itagüí (1, 2). Some of these are much more rural, and required helicopter drops to get them underway. Caldas also produced this great video. The Maureen Orth Foundation‘s Medellin pilot is not very large, but she talks about connected laptops as “the most wonderful tool they could possible have”.